Published in "The Reliquary" in April 1867. Beauchief derived its name from a religious house of the order of Prœmonstratensian, or white canons. The Abbey at Beauchief, or de Bello capite, was founded in 1183 by Robert Fitz Ranulph, Lord of Alfreton. Cox says the original, but undated, charter points to an even earlier date as it was signed by Albinos, Abbot of Darley and he had died in 1176. The abbey remained here until the Dissolution of the Monasteries by the second Tudor King, Henry VIII (see below). The view of Beauchief Abbey shown here was from an etching by Buck, and shows the remains existing in 1727 (said by Cox to have been part of a series of views published by the brothers Buck in 1774). 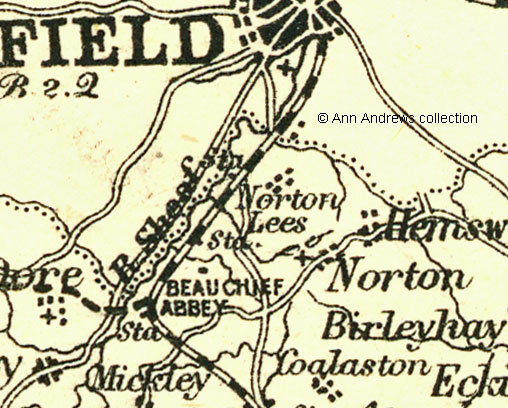 In 1811 the hamlet of Beauchief was described as being "in a beautiful little vale near the northern boundary of the county, within a short distance of Sheffield". III. *John, 1258. "John, Abbot of Beauchief" (Harl. MSS.3875). IV. Stephen (temp Henry III). V. Reginald, 1273. "Reginaldus, , Abbot of Beauchief", 2 Ed. I." VIII. William de Folkingham, 1312. IX. *Joseph, 1314? There is a deed of Joseph, Abbot of Beauchief, to which Sir Thomas Chaworth and Sir Gervase Bernaby are witnesses. X. Robert de Radcliffe, 1355 and 1365. XI. John Norton I., 1393. XII. *John de Derleye, 1395. "John de Darleye Abbot of Beauchief, 18 Richard II." Harl. MSS. 3875. XIV. William Gresley obiit. 1433. XV. John Girdon, elect. 1433, Abbot 1453. XVI. John Downham, 1458. In 1462 this Abbot was deposed for his bad conduct and expelled from the Monastery, with seven canons, his accomplices, Viz. - Wm. Brotherton, Robt. Skypton, Robt. Baxby, John Corbrig, Robt. Boland, John Powmfrette, John Archeton. XVII. John Swift, elected 1462. Translated to Newhouse 1478 [Cox show two John Swifts, with dates 1458 and 1472]. XVIII. *Thomas Wedur elected 1478. "Thomas, Abbot de Beauchief, 20 Edward IV." XIX. John Norton II., 1496. XXI. *Christopher, 1519. Translated to Newsham. † Kirke notes that the name of the first Abbot is unknown, but Jordanus was not the first. ‡ Kirke says there was a difference of opinion about this account, with some historians giving more and some less. Cox suggests that Sheffield had passed away before Dissolution as no annuity to him is mentioned in the Beauchief accounts. An inventory was taken of the Abbey's effects at its Dissolution that indicated that they not rich in plate. In 1537 King Henry VIII. granted the site and estate of Beauchief Abbey to Sir Nicholas Strelley, of Strelley in Nottinghamshire, for the sum of £223. One can safely observe today that Henry VIII. made a tidy profit from the dissolution of the monasteries! "The house and site of the Abbey of Bello Capite, and all the Church belfry and Churchyard ; also all messuages, houses, edifices, barns, stables, dovecotes, gardens, orchards, ponds, parks, land, and soil; also 121 acres of arable land, 65½ acres of meadow, and 73 acres of pasture, in Beauchief aforesaid ; also one Grange called Strawberry Lea, etc etc." Beauchief eventually passed from the Strelleys to the Pegges through Gertrude Strelley, the daughter of William and Gertrude Strelley of Beauchief who was born on 3 Oct 1631. She married Edward Pegge at Norton on 17 July 1648. The Pegges originated from Ashbourne. 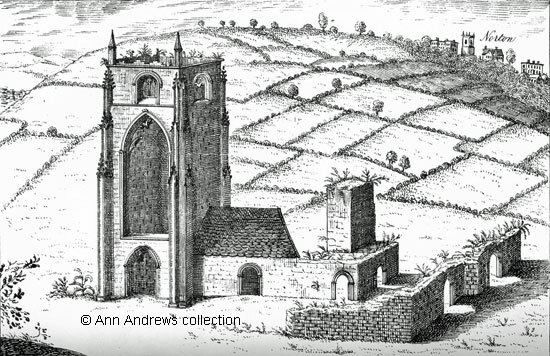 It was Edward Pegge Esq., who took most of the Abbey's remains to build his house in 1671. However, he also restored public worship in the Abbey's chapel and was eventually buried in the Abbey. Several members of the Pegge and Strelley families are buried at Beauchief. Strelley Pegge was the last Pegge male heir to bear the Pegge surname. His brother Peter became Peter Pegge Burnell but did not have heirs. The estate then passed through their sister Milicent into the Steade family, descendents of the Steades who were settled at Onesacre between 1326 and 1377. A number of Milicent's descendants subsequently changed their surnames; presumably a condition of property inheritance within the family. For example, Broughton Benjamin Steade succeeded to his uncle Peter's estates at Winkburn through his Will and then changed his surname and assumed the arms of Pegge Burnell by Royal licence, obtained in March 1836. He is shown on the pedigree below. Derbyshire's Parishes, 1811, Parishes B, which has more about Beauchief. The Gentleman's Magazine Library, 1731-1868, a very full account quoting Rev. Dr. Samuel Pegge's "An Historical Account" written in 1801 and published in the Gentleman's Magazine in 1814. The Wolley Manuscripts, Derbyshire - Charters, Documents & Deeds. 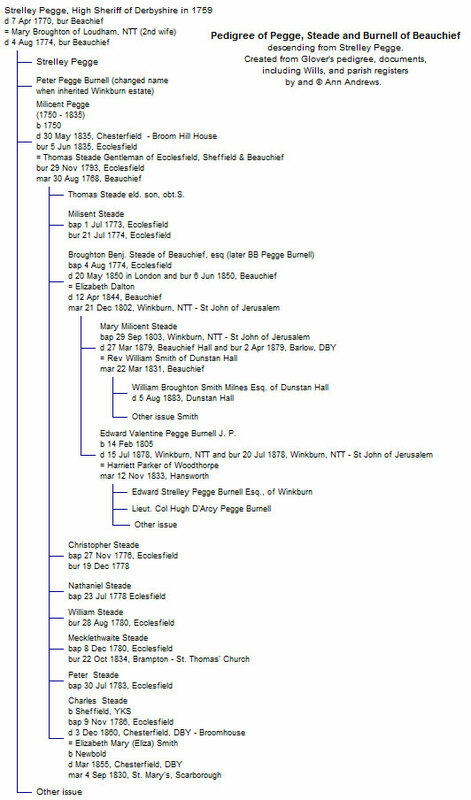 References to Beauchief, Pegge and Strelley. Although the web mistress descends from Steads from Yorkshire, her research does not indicate that she descends from the Steades of Onesacre. See: Our Genealogy (Stead). Her interest in the Beauchief family stems from an interest in Derbyshire and a curiosity about this family. Enlargement of a section of Worth's 1890 map. railway station can also be seen. Engraving by Buck, published in "The Reliquary", in the collection of, provided by and © Ann Andrews. See The Gentleman's Magazine Library, 1731-1868. The article refutes the mistaken belief - by Davies and others - that Beauchief was founded by one of the men who assassinated Thomas à Becket. The earliest reference to the founder being described as the murderer Becket appears in Pilkington, James (1789) "A View of the Present State of Derbyshire; with an Account of its most Remarkable Antiquities... ". Davies, Rhodes, Glover and others just repeated the story. Interestingly, the Lysons (1817) do not mention Becket or murderers. Davies, Reverend David Peter "History of Derbyshire", (Makeney - April 10th, 1811), Printed by S. Mason, Belper. "Sheffield Independent", 20 July 1878. Decease of Edward Valentine Pegge Burnell, Esq. "Derbyshire Courier", 8 June 1850. The late B. B. Pegge Burnell, Esq.